The great cathedral of Ulm is under construction! Markets bustle and construction workers hustle, but among all the busy-ness is opportunity! 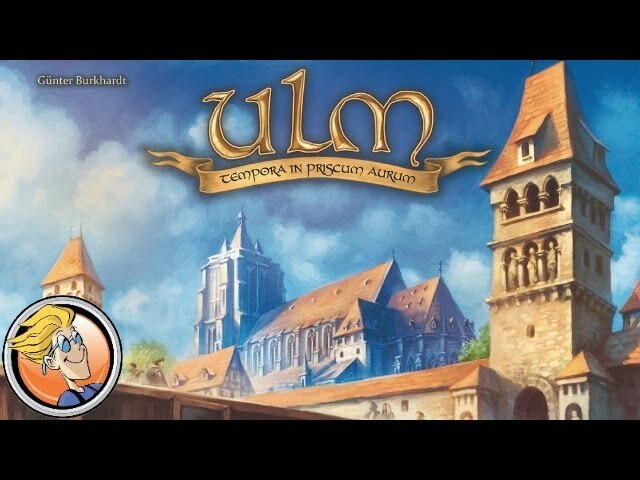 Featuring a 3D cathedral where the players slowly construct the main tower, Ulm is a euro board game of strategy and worker placement, with a town square mechanic involving the sliding of tiles to take actions, but be careful which you slide because all your opponet's tiles will get used too! If you're looking for a medium weight eurogame with some unique mechanics, buy Ulm.